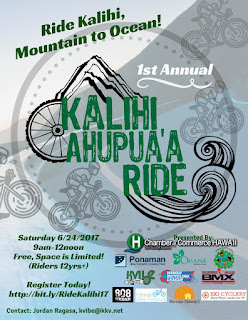 Kalihi Valley Instructional Bike Exchange (KVIBE): You're Invited: Mural Reveal Celebration at KVIBE! You're Invited: Mural Reveal Celebration at KVIBE! We are very excited to announce our newest art installment! KVIBE youth have been fortunate to collaborate with community artists, Amanda and My, in creating a beautiful new mural that tells the story of KVIBE's past, present, and future. Our youth have been watching this project grow from day one...some of them even got in on the fun and helped paint our mural! It's coming together really quickly, being completed in just three days! Goes to show how a little bit of inspiration and the power of community building can transform our spaces. Working hard to make our shop come to life. 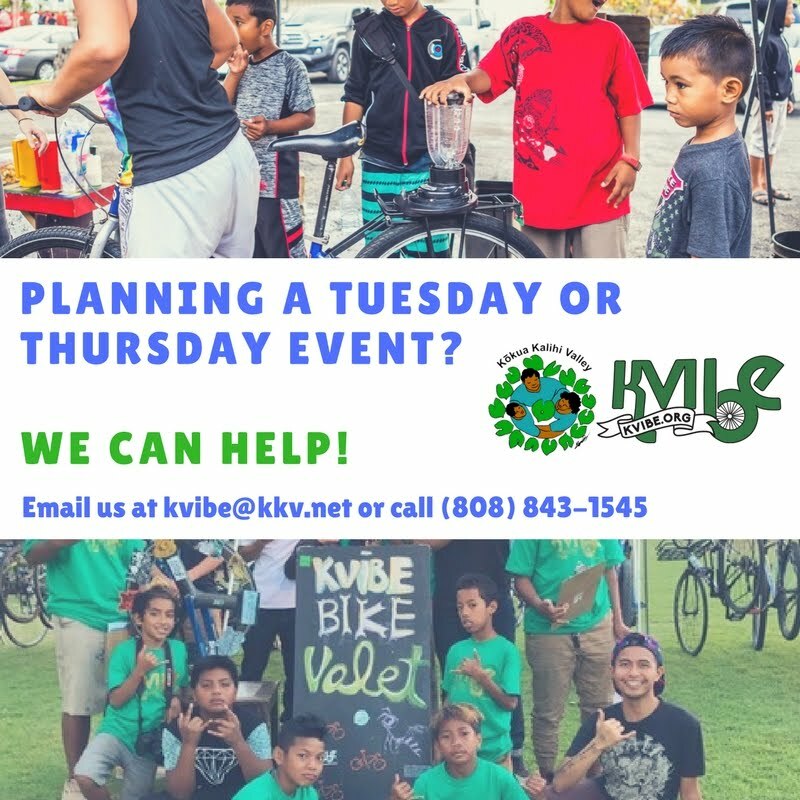 We'd like to invite you to our Community Mural Reveal Celebration at KVIBE on Monday November 21, 5-6pm. You'll get a chance to see the finished mural and meet the artists who helped us make it come to life! Watch the promo video of our mural below!